Mongrels Cross have finished recording their debut full-length, "The Sins of Aquarius" which will see a late Spring release on Hells Headbangers. Be sure to give a listen below! Mongrel's Cross are a pack of hellish hounds from the furnace that is Brisbane Australia. 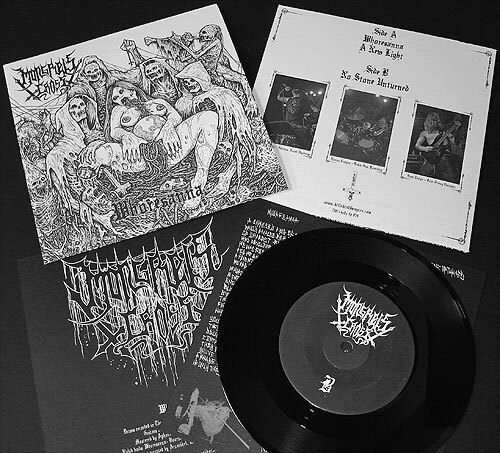 On the Whoresanna EP they deliver three exclusive tracks of chaotic bible thrashing metal as a harbinger for their debut full length assault later this year on HHR. Die Hards of Grand Belials Key, Bestial Mockery, Gospel of the Horns should especially take a listen! HHR / 708 MARKS ROAD, SUITE #101 / VALLEY CITY, OH 44280 / U.S.A.